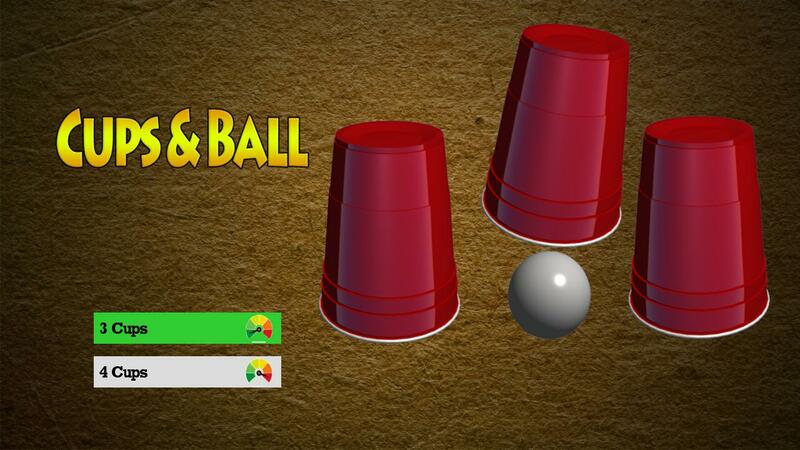 The main challenge in Cups and Balls Roku was to implement different mode according to the different cup swapping pattern and animation speed. To design the different board according to the game modes and handle the OK control to start the cup swapping and choose the cup. To implement the multiple poster and animation nodes for cup swapping and set a different moving pattern to move cups. Initially, we designed the game board according to the game modes using the scene graph’s different renderable nodes. We used different scene graph poster and animation nodes and set the swapping animation to the cups. Implemented logic in BrightScript to set the different pattern and count to swapping the cups in game levels. Implemented logic in BrightScript for handling the OK click control to start the cup swapping animation. Choosing the cup after the animation stops. Successfully designed the game board as per the game modes and handle ok click control to start the cup swapping animation and choosing the cup. Cups and ball lovers finally found their favorite puzzle game at the Roku Channel Store.